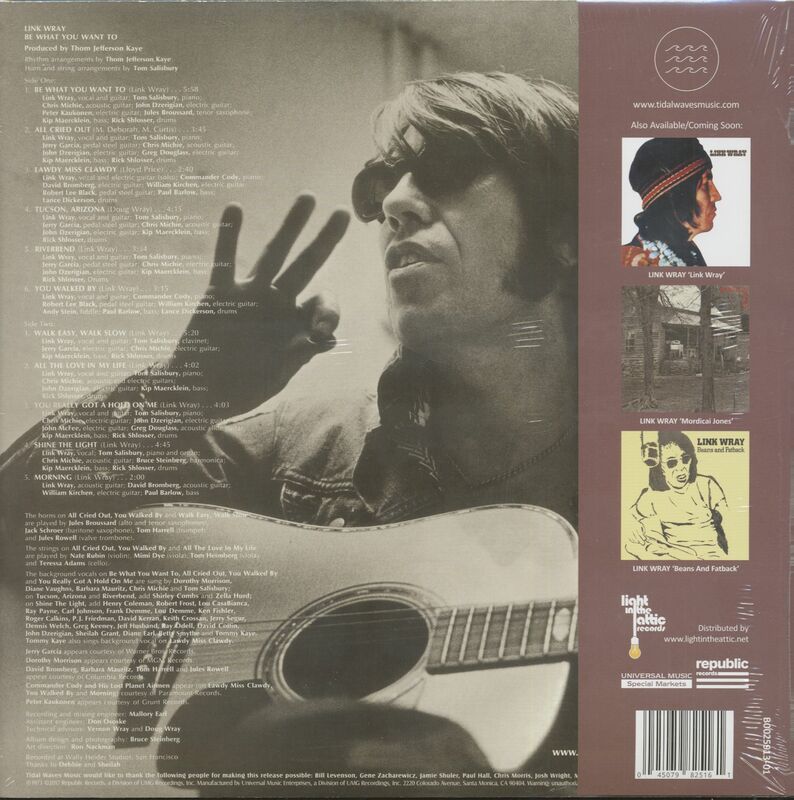 Link Wray (1929-2005), born of Shawnee Native -American parents, was an American rock and rorguitarist, songwriter and vocalist who became popular in the late 1950s. Building on the distorted electric guitar sound of early records, his 1958 instrumental hit 'Rumble' (banned in New York and Boston for fear it would incite teenage gang violence) — popularized 'the power chord' which laid he foundation for modern rock music. Link's previous releases had proven the man's versatility with influences coming from many different genres including R&B, country, blues, and, of course, rock. 'Be What You Want To' continues this trend: a thick stew of boogie--rock, country-funk and Americana with lots of soul which also employs a large number of musicians including Grateful Dead guitarist Jerry Garcia, Thomas Jefferson Kaye and Commander Cody. Link Wray leaves a legacy as big as his career: Rolling Stone placed Wray at No.45 of the 100 greatest guitarists of all time and in 2013 he was a nominee for the Rock and Roll Hall of Fame. Pete Townshend of The Who once said, "If it hadn't been for Link Wray and 'Rumble', I never would have picked up a guitar." Other musicians citing him as a major influence are Iggy Pop, Neil Youngand Jimmy Page. 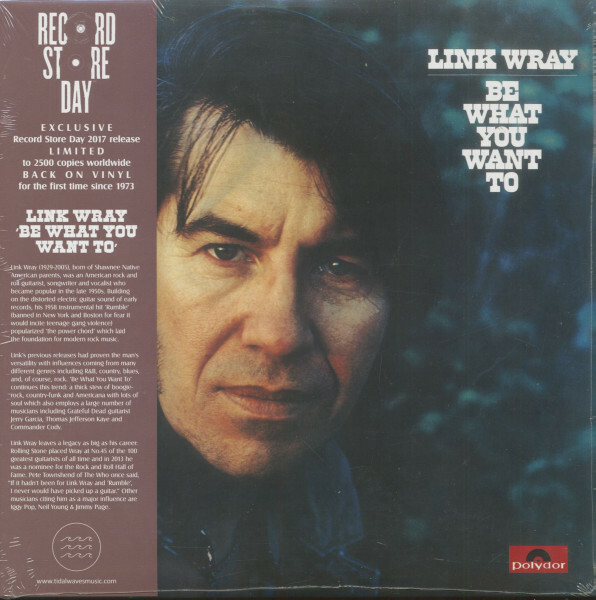 Customer evaluation for "Be What You Want To (LP, Ltd.)"